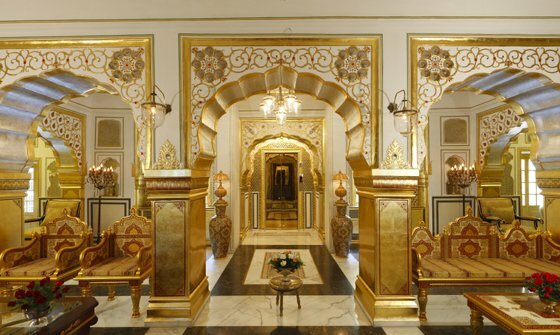 While there are many objective reasons to prefer The Raj Palace over other Jaipur Accommodation or other hotels in Jaipur, as we are a luxury hotel in Jaipur city center, it is an experience a winning combination of traditional luxury and modern convenience at the Jaipur Hotel. 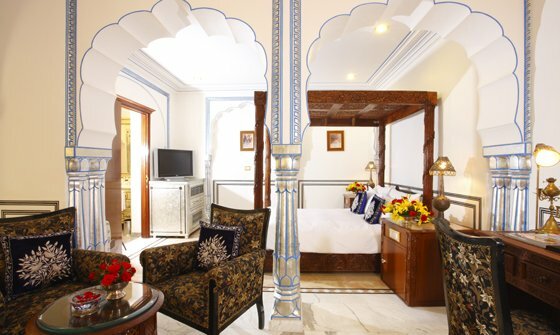 Entrenched in the cultural legacy of India's Pink City, our hotel in Jaipur welcomes guests with refined elegance, luxury bath amenities, and a very prime location near Jaipur city center. 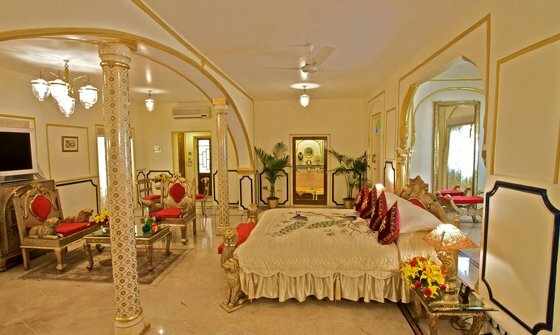 Our rooms and suites are rich in culture, renovated & redesigned with your comfort in mind, and feature luxury bedding, marble bathrooms, and high-speed Internet access. 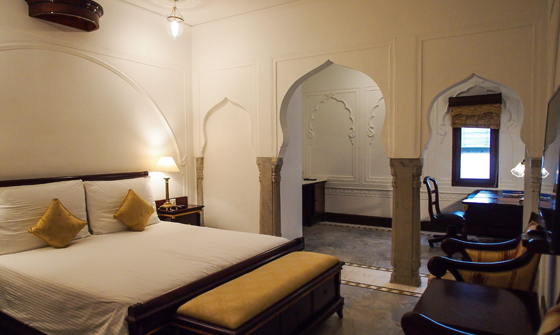 This Jaipur hotel has 50 Rooms and Suites overlooking towards Gardens, Chandani Chowk (Courtyard), and the pool. 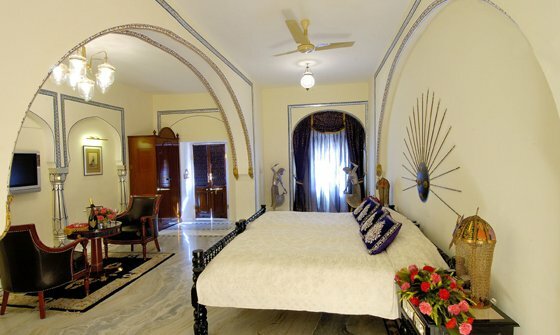 Each suite / room is unique and each seems still to breathe the spirit of illustrious guests who once stayed here. 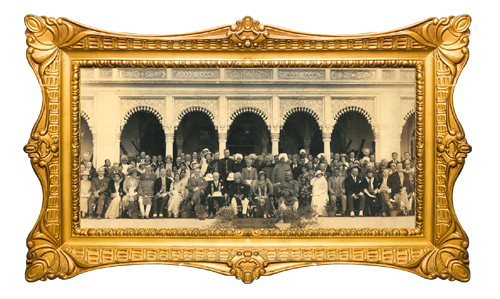 Museum suites have been created giving the Raj Palace the honor of being the first palace hotel with such accommodation in Jaipur India. 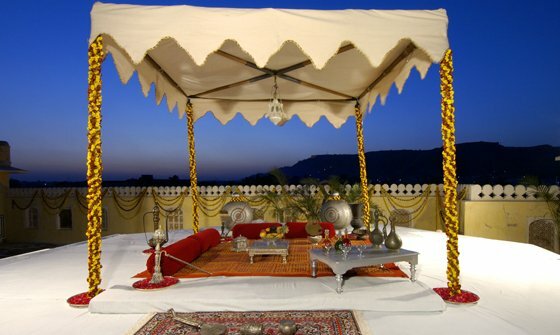 The accommodations used by the royal family , the International royal families and State guests who were the special guests of the current royal family from worldwide including Queen Mary in early 19th Century , spread out in 4-5 levels and more that 20,000 square feets of covered area. Each comes with multiple bedrooms and offers its own unique feature: an oversized living room and an expansive office. 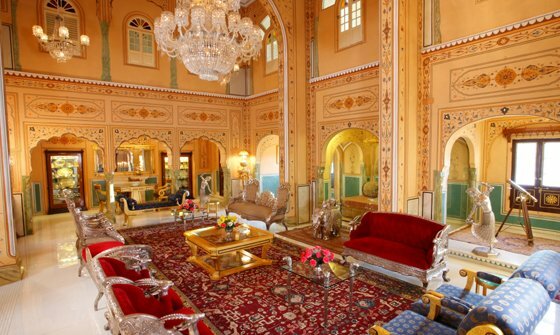 All two of these luxurious suites of the world include a service pantry and dinner seating for six to 12 people depending on the guests choice.